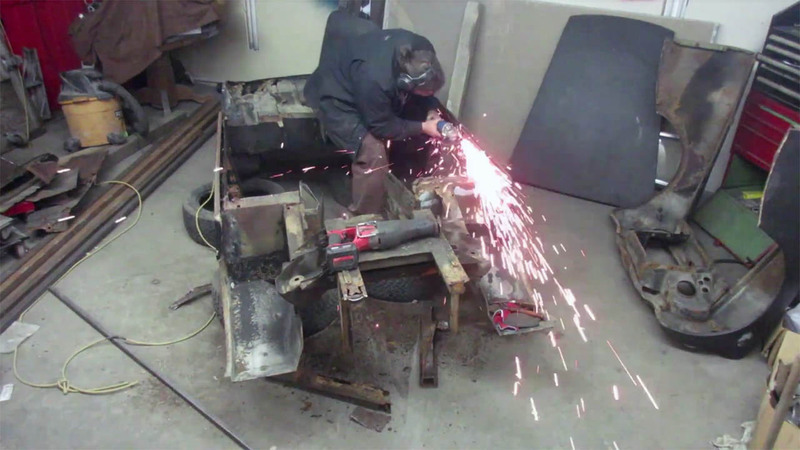 Deboss Garage is back with a new update video on Stefan’s 1973 MG Midget project. The goal is to install a turbo 2.4 L inline-four from a Chrysler PT Cruiser using a Jeep Liberty bell housing, custom flywheel, and AR-5 five-speed manual transmission. In part three Stefan explains the plan for the intake and turbo system. Then they test fit the body on the custom tube chassis and explain their custom front suspension.